Recent assignment for Evonik's inhouse corporate magazine showcasing portraits of tech-entrepreneurs in Singapore, as well as a some urban illustration elements. Raphael Olivier is a corporate photographer based in Singapore covering portraits, architecture, interiors, lifestyle and other industrial assignments in Asia and beyond. This month I had the great opportunity to work in Brazil on a project documenting public transport infrastructures in São Paulo and Belo Horizonte for French engineering company Systra. The aim of the project was to showcase the various mobililty structures the firm has been implementing in those cities, and included a day flying over in helicopter to capture aerial views of larger projects as well as the general urban surroundings and environment. 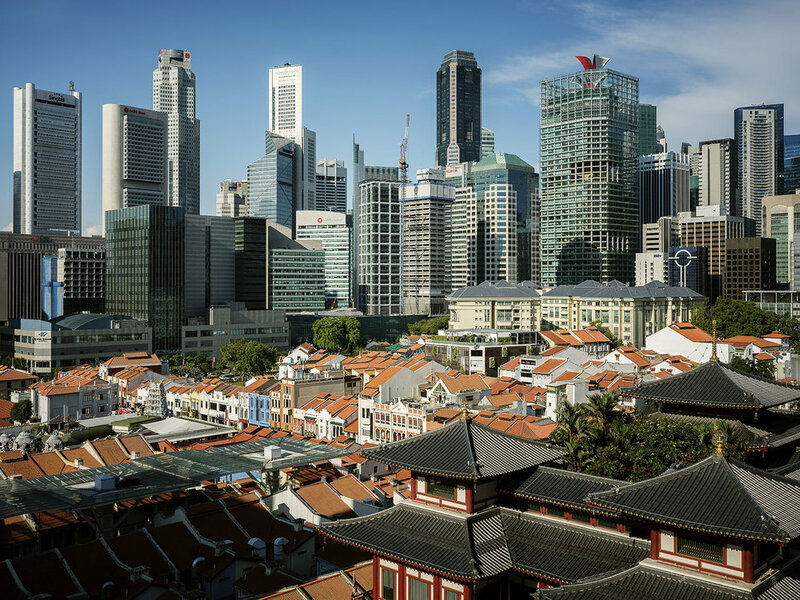 Raphael Olivier is a commercial photographer living in Asia for about 10 years, currently based between Hong Kong and Singapore, and available for corporate, industrial and aerial photography assignments all around Asia and beyond. I am currently in Brazil for the whole month of February 2017 and available for editorial and commercial projects in Rio de Janeiro and São Paulo. Last month I was fortunate enough to be seleted as the photographer to shoot destination key visuals around Shanghai in the frame of a worldwide advertising campaign for Qatar Airways. Raphael Olivier is a commercial photographer based in Asia for about 10 years, currently living between Hong Kong and Singapore, and available for assignments all around the region including architecture, interiors, lifestyle, hospitality, editorial, advertising campaigns and more. 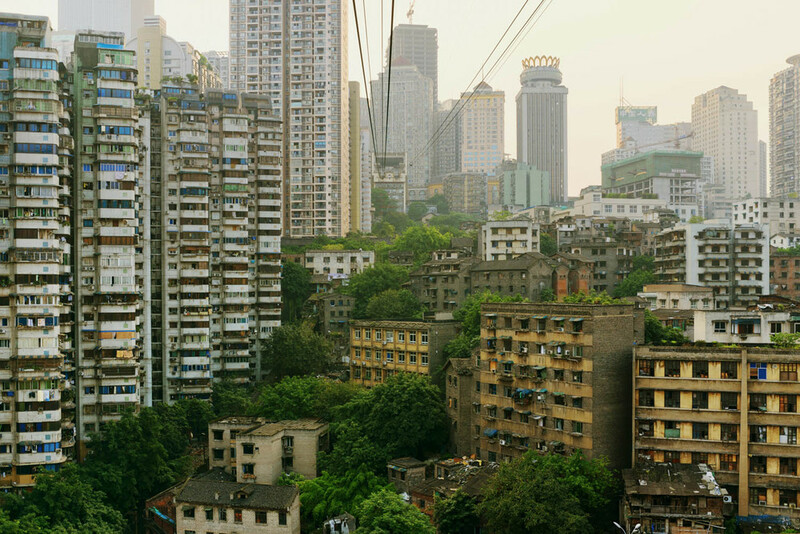 Chongqing, Western China, is the ultimate urban jungle. With a municipality covering the size of Austria and home to almost 30 milion people, some call it the world's largest city. Eventhough most of its territorry and population are still rural, the urban core is under massive expansion and Chongqing is now the fastest growing city in the world. Yet this development is mostly wild and unregulated (the city is notorious for its corruption), which over the past years has led to an incredible forest of buildings taking over mountains and surrounding farm-lands, creating one of the most overwhelming urban landscapes on Earth. The hot and humid weather of Chongqing coupled with the total absence of coordinated landscape design allows for an abundant and lush vegetal wildlife to thrive everywhere in the city, taking over streets and buildings in a wonderfully chaotic way. This photo essay aims to show the unique scenery created by Chinese mass urbanization, endemic lawlessness, moutainous topography and subtropical climate, as a very organic urban sprawl out of a science fiction movie. Here are a couple of urban images of Shanghai that made it to paper recently. Raphael Olivier is a commercial photographer based in Asia for about 10 years, currently living between Hong Kong and Singapore, and available for assignments around the region including architecture, interiors, corporate, editorial, advertising campaigns and more.